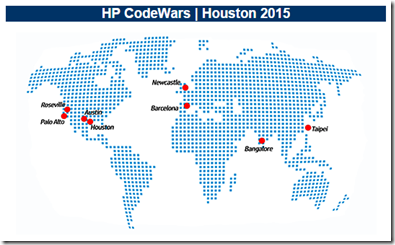 I just attended the HP CodeWars event in Houston on March 7th. It was a truly impressive event. 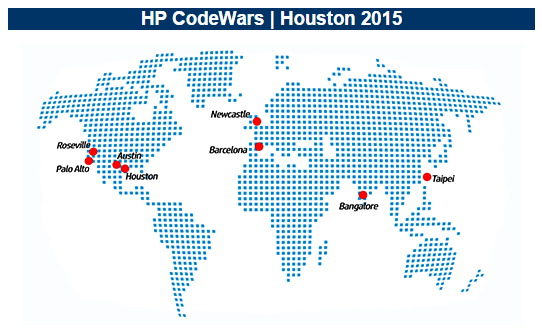 This program got started at the Compaq campus in Houston in 1998. It has grown to 8 HP sites around the world. 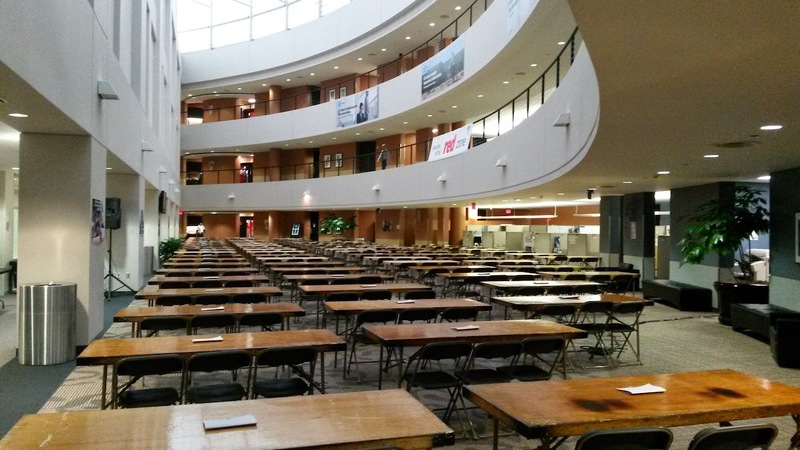 It is an open 1 day competition for high school students. They are given around 20 problems that must be solved using Java programming. Kids compete on teams of 1,2 or 3 students. Each question is assigned a point value based on its difficulty. There are Advanced and Novice divisions. Both groups are given the same problems. 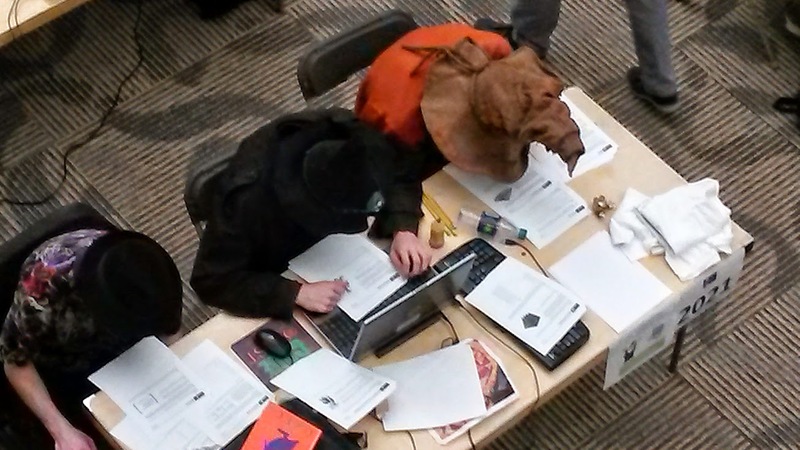 The solutions are submitted to the judges electronically who test the programs and assign points. 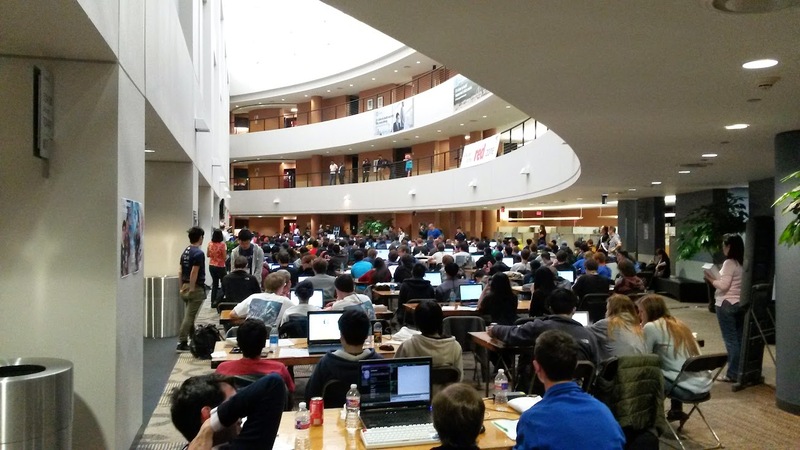 There appeared to be about 700 students at the 2015 Houston event. Most teams were from Texas but some groups came from as far away as Florida (who came in 2nd this year). Teams came in school busses, multi-vehicle caravans and in the back of mom’s minivan. Having a team name and identity was part of the fun. Plenty of kids went all out and dressed up. I saw Harry Potter and his friends, a Wookie, Dorothy and her pals and of course team Chef Boyardee who were “cooking up a win”. The top team came from Clements High School in Fort Bend ISD. Other winners can be found here. HP was a gracious sponsor of the event. They provided breakfast, lunch, drinks, posters, tee shirts and a backpack filled with goodies to all the students. They also gave away some really nice computers as raffle prizes. The logistics of such a large event were also expertly handled. Skills learned to compete in these events are “real world” skills, some of these students already possess enough knowledge of programing to get a job. Participants start building their network, they see hundreds of other students who are passionate about the same things they are, it’s not unlike sports teams getting together. 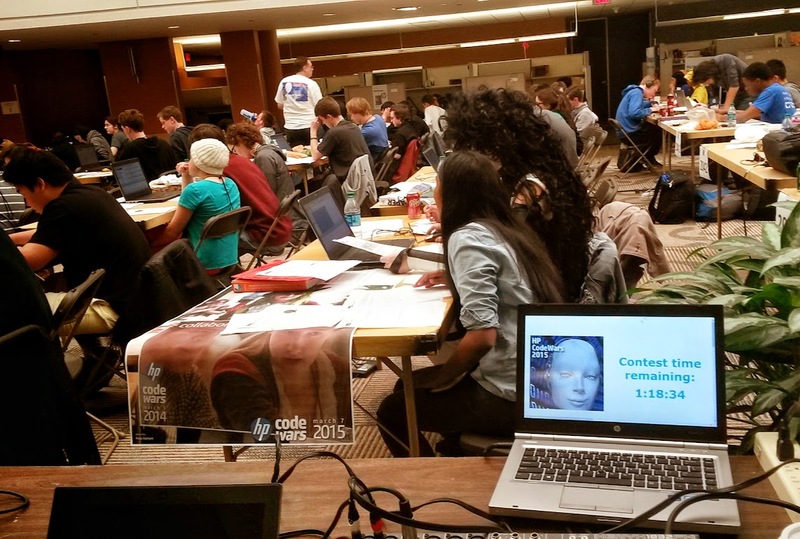 Coding clubs and teams give a whole group of kids the opportunity to be part of a team and a social group at school. Being involved in extracurricular activities at school is good on many levels. Over the years my wife and I have been involved in many student based programs from kindergarten through college. 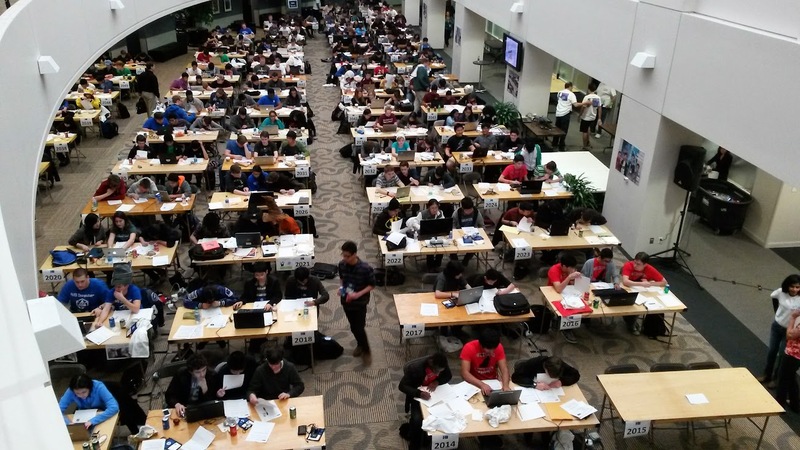 Programs like the coding teams who participated in CodeWars have students, teachers and parents who are significantly “above average”. They value education, participation and are great to work with. Yes, there are many reasons to participate in programs like these.